Paul Monk reviews Oliver Stone's film Snowden and recommends a reality check. On Wednesday, The Australian led with a story headlined “Threat of cyber terror closes in”. It reported the release of the government’s latest threat report and quoted the Australian Cyber Security Centre’s warning that we face growing dangers from cyber espionage and cyber crime, an emerging threat from cyber terrorism and a longer-term risk of cyber war by a hostile state. 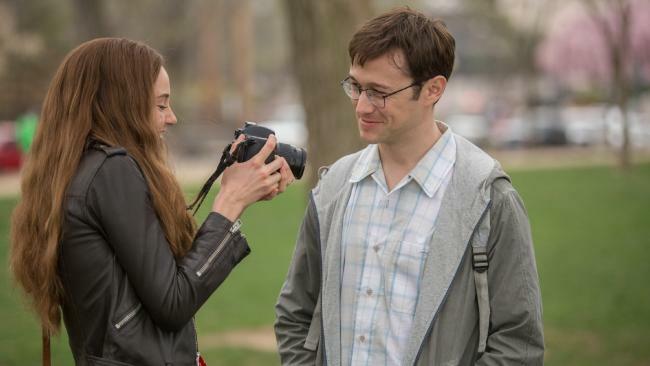 Shailene Woodley and Joseph Gordon-Levitt in Oliver Stone’s film Snowden. The report happens to coincide with the appearance in our cinemas of Oliver Stone’s film Snowden and publication of an excellent book by US security affairs writer Fred Kaplan, Dark Territory: The Secret History of Cyber War. If you are attempting to form an intelligent view of this whole cybersecurity thing, here is an exercise worth undertaking: go see Stone’s film, then — and this is very important — read Kaplan’s book. Those familiar with Stone’s films know that he is a fine director who delivers often stunning cinematography, but he has little credibility as a documentarist. He has an incurable penchant for melodrama and conspiracy theory, most notoriously in his 1991 film JFK. Unfortunately, he has fallen into these vices again in Snowden. It is very good cinema but a most unreliable guide to the realities and acute dilemmas of the cyber world. It is more than three years since Edward Snowden bolted from the National Security Agency precinct in Hawaii, flew to Hong Kong, rendezvoused with documentary filmmaker Laura Poitras and left-wing journalist Glenn Greenwald, and gave them a mass of evidence about the agency’s secret cyber espionage and counter-terrorism surveillance programs. Stone’s film is presented as “a dramatisation” of the real story. It is certainly that. Whereas Alex Gibney’s documentary We Steal Secrets: The Story of WikiLeaks, released in 2013, oozed credibility and integrity in the matter of secrecy and the public interest. Stone’s film — well, not so much. Snowden claimed the NSA’s sweeping collection program had run out of control, was a danger to civil liberties in the US and was doing all manner of nefarious things globally. Stone’s film inflates this central issue into a general and lurid diatribe against the US intelligence system as a totalitarian monstrosity running rogue domestically and abroad. It encourages viewers — many of whom will need little inducement — to fall into a paranoid state of mind. Why, then, would I recommend that people see the film? I recommend it because the film will bring the subject alive graphically and provoke a demand for answers. Kaplan supplies many of those answers. Take, for example, the contrast between Stone and Snowden’s allegation that the Obama administration has been complicit in rogue NSA operations and that there have been wholesale intrusions into the personal affairs of ordinary people, domestic and foreign. In fact, as Kaplan shows, Barack Obama responded to Snowden’s leak (more precisely, deluge) of classified information by appointing a commission of inquiry into the NSA programs. Kaplan’s account of its work and findings is most illuminating, mostly reassuring and a long way from the lurid picture offered up by Stone. There were five commissioners: Michael Morell, Cass Sunstein, Geoffrey Stone, Peter Swire and Richard Clarke. They were not shadowy or right-wing figures. Morell is a former deputy director of the CIA and Clarke a former counter-terrorism adviser to Bill Clinton. 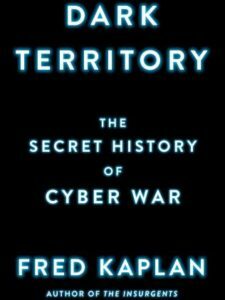 His 2010 book Cyber War: The Next Threat to National Security and What to Do About It qualified him as well. His character and background are such that if you’d wanted to do a snow job on the Snowden allegations, Clarke would be about the last person you’d choose. US National security Agency whistleblower Edward Snowden. Sunstein and Geoffrey Stone are former colleagues of Obama at the University of Chicago law school. Swire, a professor of law, is “a well-known proponent of privacy on the internet and the author of a landmark paper on surveillance law”. Sunstein has long been an imaginative, iconoclastic thinker and is surely no one’s idea of a drummer boy for an Orwellian surveillance state. Geoffrey Stone is a prominent member of the American Civil Liberties Union, sitting on its national advisory council, and “the author of highly lauded books on the first amendment in wartime and on excessive secrecy in the national security establishment”. One would have thought, again, that he was not the person the US President would have appointed to an inquiry if he were seeking to cover up and perpetuate rampant abuses of power and rogue surveillance. Reading Kaplan on how these five went about their work is like watching Peter Landesman’s Parkland (2013) or reading Vincent Bugliosi’s Reclaiming History: The Assassination of President John F. Kennedy (2007) after watching Oliver Stone’s JFK. It is a return to a grounded, sane sense of reality. The commissioners produced a 303-page report: Liberty and Security in a Changing World. Colloquially, it became known as the Five Guys Report, making 46 recommendations. The “five guys” found “no evidence of illegality or other abuse of authority for the purpose of targeting domestic political activities”. They did, on the other hand, see the potential for abuse. Geoffrey Stone, Kaplan writes, “shivered at the thought of what president Richard Nixon or FBI director J. Edgar Hoover might have done if they’d had their technology at their fingertips”. NSA intercepts, they concluded, helped halt 53 terrorist plots. But the metadata program — one of the most controversial aspects of the NSA’s work — had not made any significant contribution. Geoffrey Stone, of all people, concluded that the NSA “deserves the respect and appreciation of the American people” and that it had been led and operated with “a high degree of integrity” and “a deep commitment to the rule of law”. Ponder those words. You would never guess any such thing from watching Snowden. “It was a phrase,” Kaplan explains, “from Gates’s childhood in Kansas, where his grandfather worked for nearly 50 years as a stationmaster on the Santa Fe railroad. Cyber technology is only one of many fast emerging “disruptive” technologies right now. Its disruptive effects are accentuated because it is so arcane that few understand it, and it operates invisibly. Above all, no one in power, as Kaplan shows, has thought through the implications of what the technology can do and how to keep things from running out of control. The best parallel for where we now find ourselves with regard to the dangers of cyber war is the advent of nuclear weapons. For decades after the atomic bombing of Japan in August 1945, strategists were deeply uncertain how to use or refrain from using these weapons and how to negotiate international treaties regarding them. That’s an important reference point against which to understand the significance of the 2016 threat report. The other is Philip Bobbitt’s claim, in The Shield of Achilles (2002), that we must rely on resilience rather than deterrence or retaliation as the default strategic setting in the face of these looming dangers. Oliver Stone presents conspiracy in the US as the menace, but the true danger is a monumental stuff-up. There is a serious lack of doctrine regarding international cyber security, whether in the context of crime, terrorism, espionage or “war”. It isn’t even clear what constitutes an “act of war” in this domain and what kinds of response to it make sense. If we are to avoid a colossal train wreck, we need to do a lot of very clear thinking about such questions. The beauty of Kaplan’s book is that he shows some of this thinking being done, points to the many troubling uncertainties and, unlike Oliver Stone, gets his facts right.